One of the hardest things for us to do is let go of the past. I have talked about it on here before, and as a counselor I worked with many people who were letting the past destroy their present and their future. Letting go of the past takes effort, but it is well worth putting in the effort it takes. I too have trouble letting my past go. 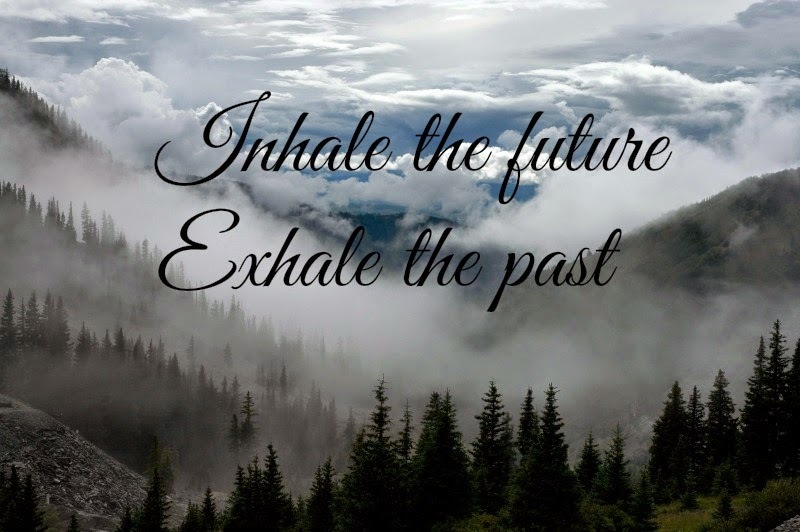 Each morning I have started a meditation practice, and as part of that practice I sit quietly, breathe in the future, and exhale the past. I visualize what I want my future to look like as I let the past go. The psychologist, Carl Jung said it well: "I am not what happened to me. I am what I choose to become." With that in mind I am doing something Wednesday that I have put off for a long time due to fear. I see it as a big step towards healing my life and letting go of something that I have carried with me for many years. Yes, I still feel panicky thinking about it and the outcome, but I also see it as exhaling the past. I have recognized that it is time to let it go. It is time to take back my life and have the life I want now. It is time to truly forgive. Not to help the other person, but to help me. Letting go of the past may not always be easy, but it can lead us all to a simpler and more serene present and future. Not only are we not what has happened to us in the past, we are not the poor decisions we made in the past. Thank God! We are able to take today and live it to the fullest, to the glory of God. May you have a wonderful day, Laura. Great post! Hope you have a wonderful day too, Judy. Here 's hoping your day goes well. Isn't that what we all want? 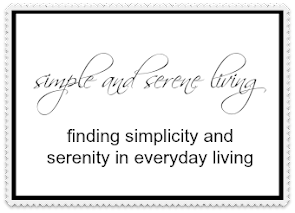 A simple life full of peace and contentment. A simple life full of peace and contentment is definitely what I want, Judy. Isn't it wonderful that we can make those changes so many times in our lives, Claudia. Stay safe during your storm. Letting go of the past is probably one of the hardest things to do. Every time I take one step ahead I end up taking 2 behind. Enjoy your day, Laura. The great thing is we can keep moving forward. Stay safe, Katie. I have learned that time helps and sometimes that means a long time. I wish you well on Wednesday. I hope that it goes well for you on Wednesday. It's good that you're taking charge of your life. Thanks, Kelly. It's not always easy for any of us.